GIRL Guide Heather Gilbert is making one of her dreams come true as she prepares to set off to volunteer in a community project in rural Cambodia. Heather, 15, a member of 1st Horsell Rangers, has always longed to travel and to help less fortunate people in other countries. 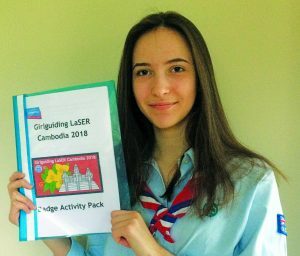 So she was thrilled when Girlguiding LaSER International Opportunities selected her in October to join a group from London and the South East to go to Cambodia.